So, I ran across a rattlesnake eating a bunny the other day while out on an adventure with my father in the hills outside of Murphy Idaho. I decided that, well, the snake needed to make it into my belly. 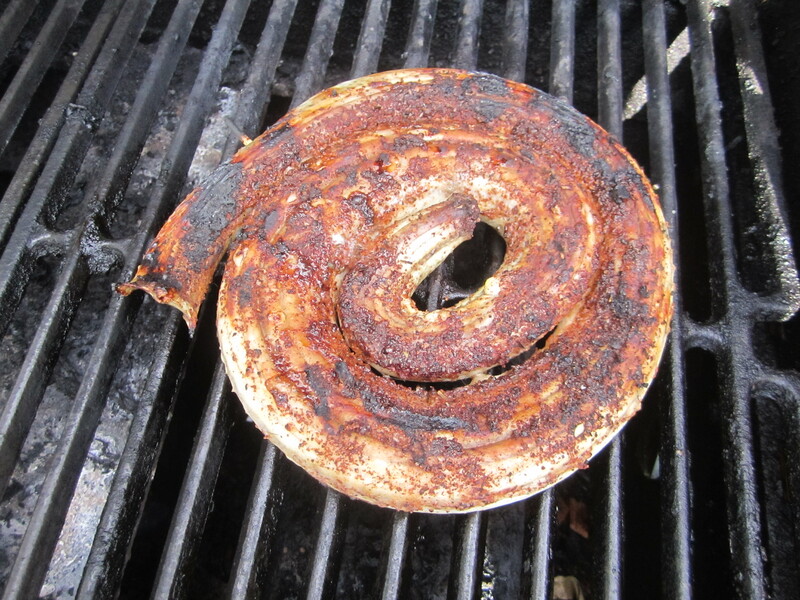 That said…here is the recipe for berry rubbed rattlesnake. At most stores you can find a dehydrated blueberry. But what do you do when you forget to close the lid and you have berry BB’s? I took some to a spice grinder with some black pepper, orange zest and salt and created an easy and tasty rub. Mix all together and use as a rub for most any white meat. Like chicken, pork, rabbit or rattlesnake. Skin and gut the snake. Make sure to burry the head of a rattlesnake since it is still poisonous for a while after it is dead. Soak the snake is water overnight. Remove from the water and pat dry. Heat the BBQ to medium high. Rub the snake with berry rub and then coil on itself. Skewer the snake so that it will stays together, like a spiral. See photo. Grill snake, rib side down first, on medium high. Close the lid of the BBQ and let cook for about 5 minutes. Flip and let grill for about another 5 minutes. Again, this all depends on the size of the snake.